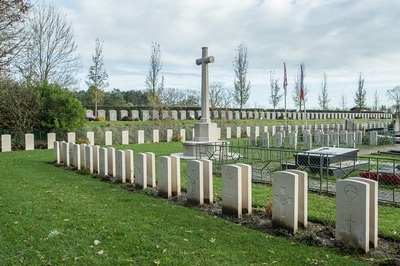 De Panne Communal Cemetery is located 6 Km west of Veurne on the N34 Kerkstraat, a road leading from the N35 Pannestraat connecting Veurne to De Panne. 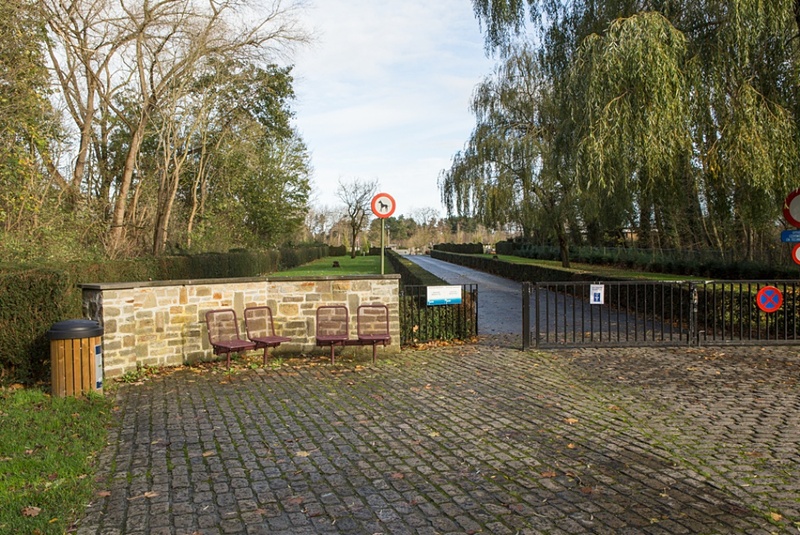 From Veurne the N35 leads for 6 kilometres to the coastal village of De Panne. On reaching the village of De Panne the N35 meets the N34 towards Adinkerke. 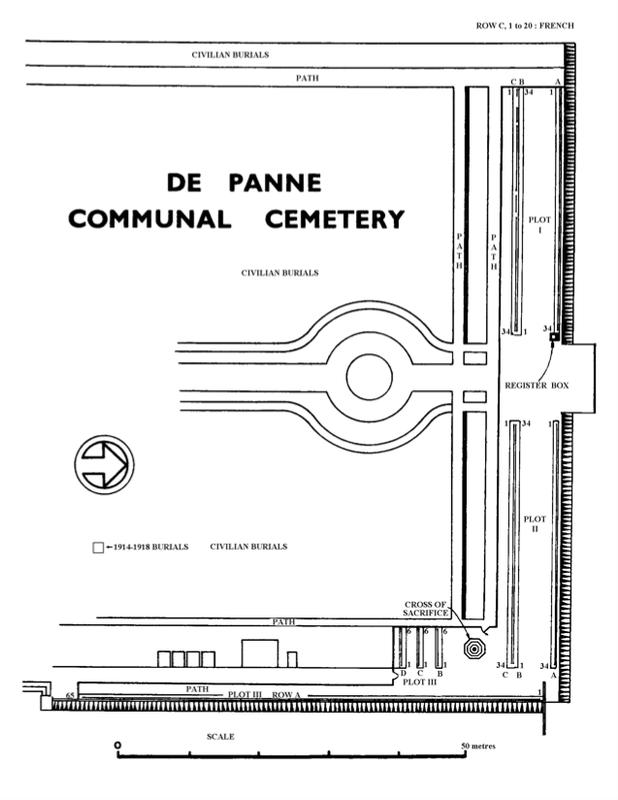 2 Km along the N34 on the left hand side lies the Communal Cemetery of De Panne. This cemetery is forewarned by a distinct bending of the road immediately prior to reaching the cemetery. 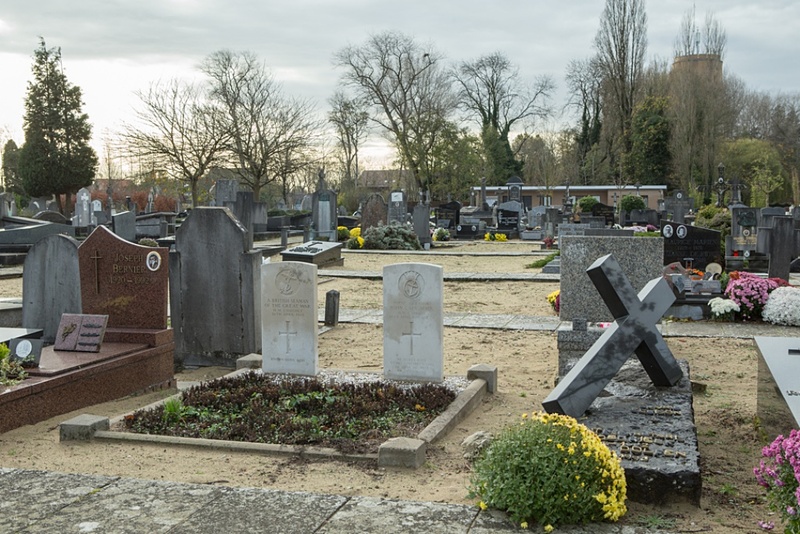 It should be noted that this cemetery is not an open site and access is limited by normal cemetery opening hours. 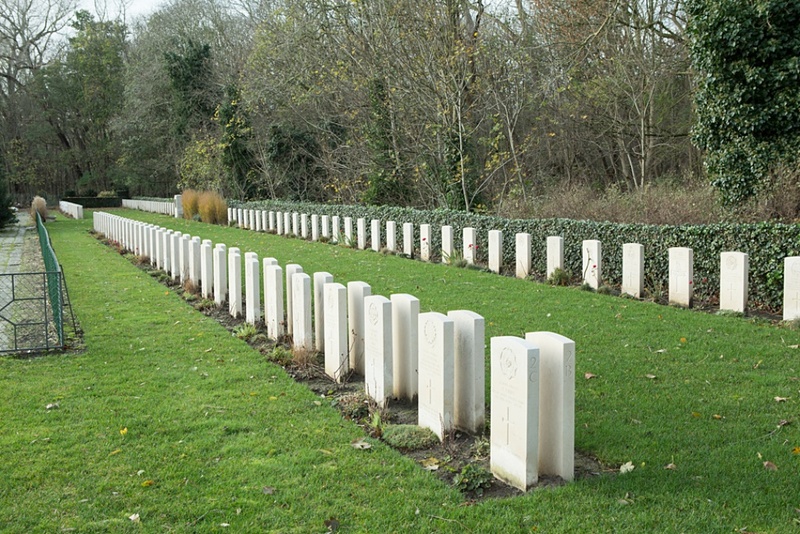 De Panne village was the site of the final General Headquarters of the BEF in 1940, and there was a Casualty Clearing Station on the beach, which was an embarkation beach for the evacuation. From 27 May to 1 June 1940, the Germans strove to prevent the embarkation of the troops by incessant bombing, machine-gunning and shelling. 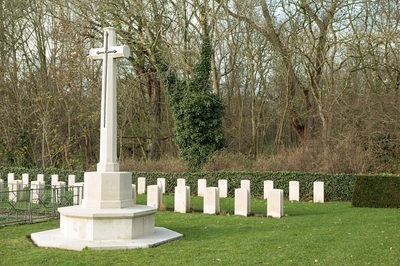 The first German troops reached the village between 14.00 and 15.00 hrs on 31 May, and after heavy fighting, the commune was completely occupied by about 9.00 hrs on 1 June. The Commonwealth plot in the communal cemetery was specially constructed by the local authorities in August 1940, so that the Commonwealth graves might all be together. 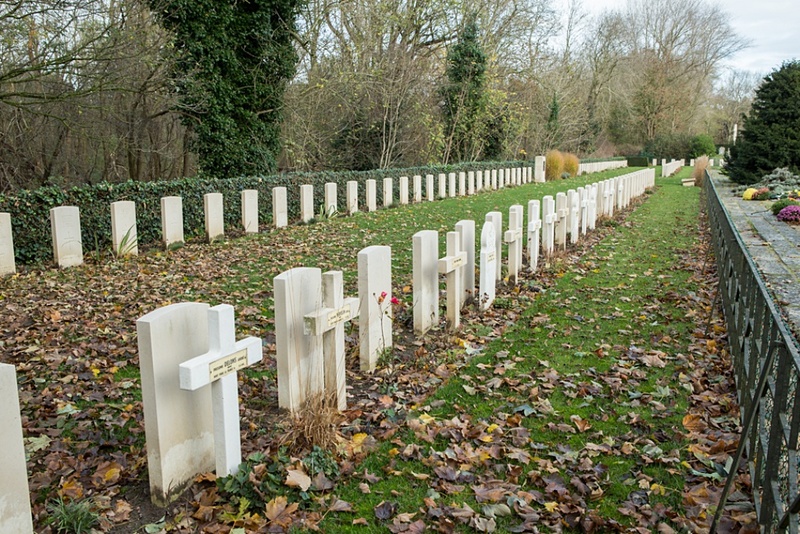 More than 200 of the burials were moved by the Belgians into this plot from other locations in the cemetery and from scattered sites on the beaches and roads of the commune. 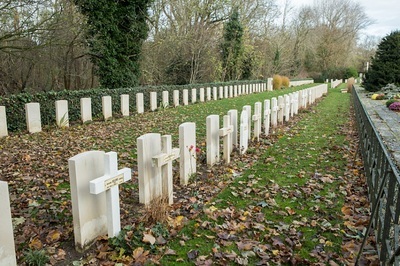 The remainder were casualties later washed ashore, airmen shot down by the Germans, and others who lost their lives at the time of the liberation in 1944. There are now 259 Commonwealth burials and commemorations of the Second World War in this cemetery. 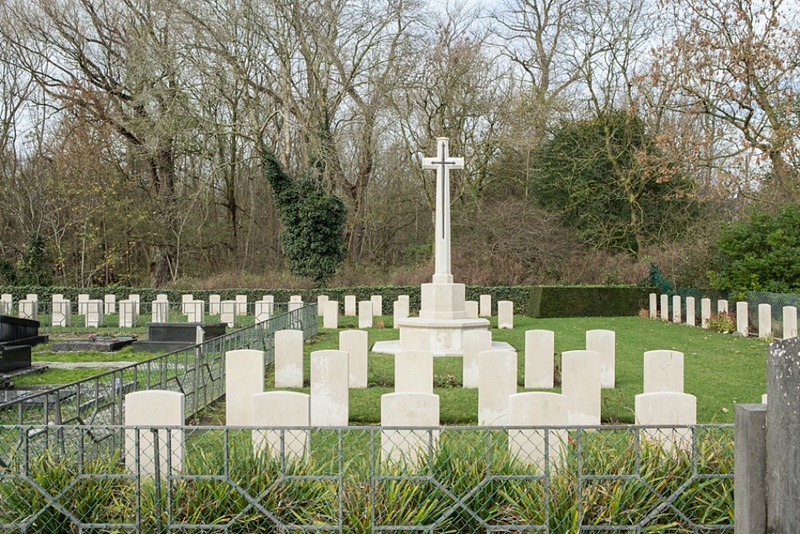 79 of the burials are unidentified but seven casualties known to be buried among them but whose graves cannot now be precisely identified are commemorated by special memorials inscribed "Buried near this spot". 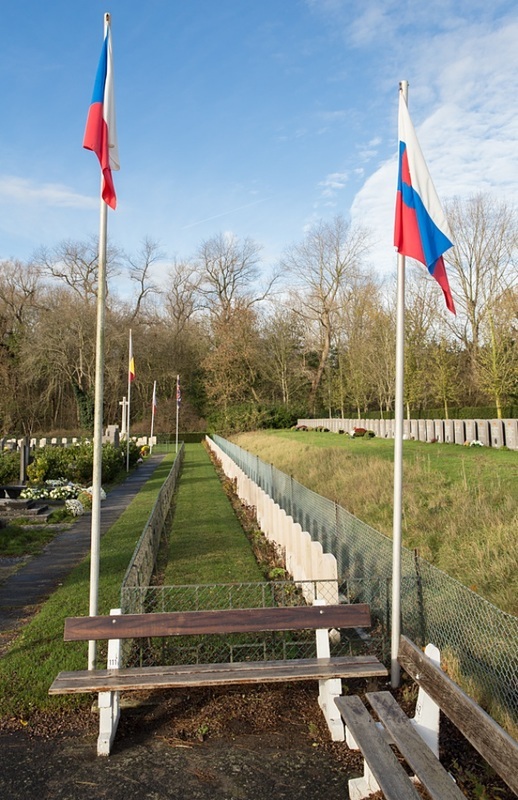 The cemetery also contains two First World War burials (one of which is unidentified), both together in Block F of the Civilian section, 10 metres from entrance to the Belgian Military Plot. 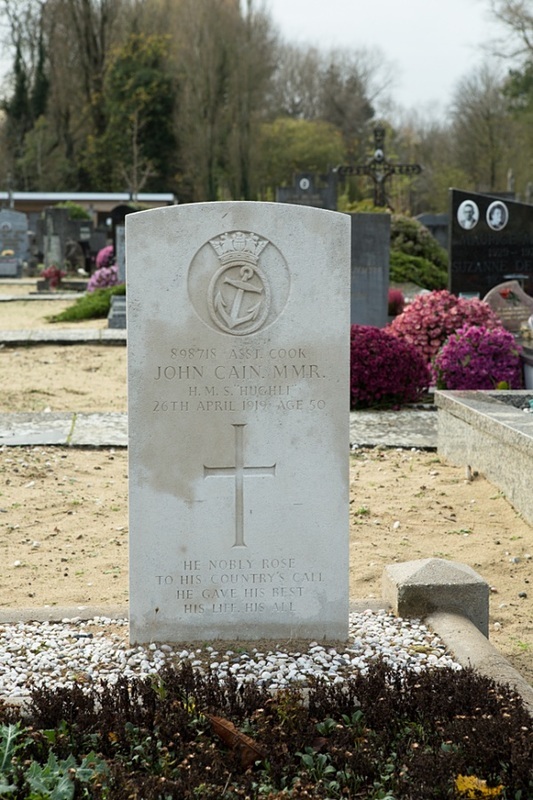 898718 Assistant Cook John Cain, R.F.A. "Hughli. 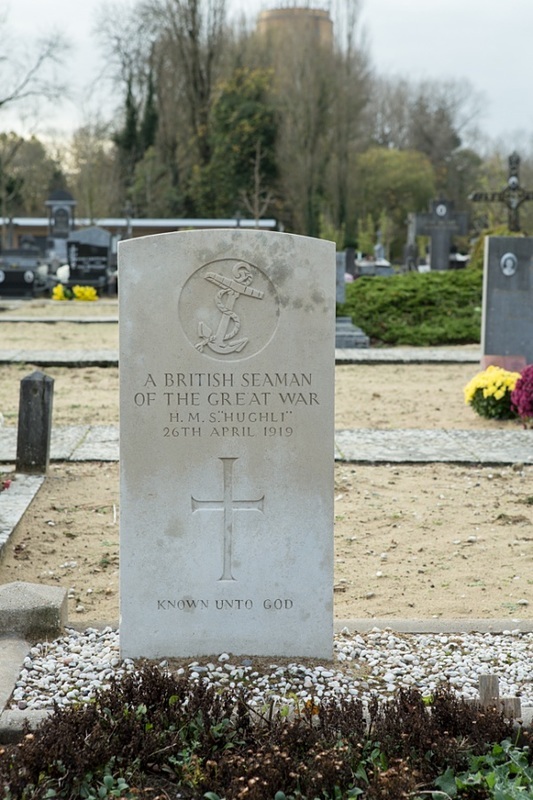 ", Mercantile Marine Reserve, died 26th April 1919, aged 50. 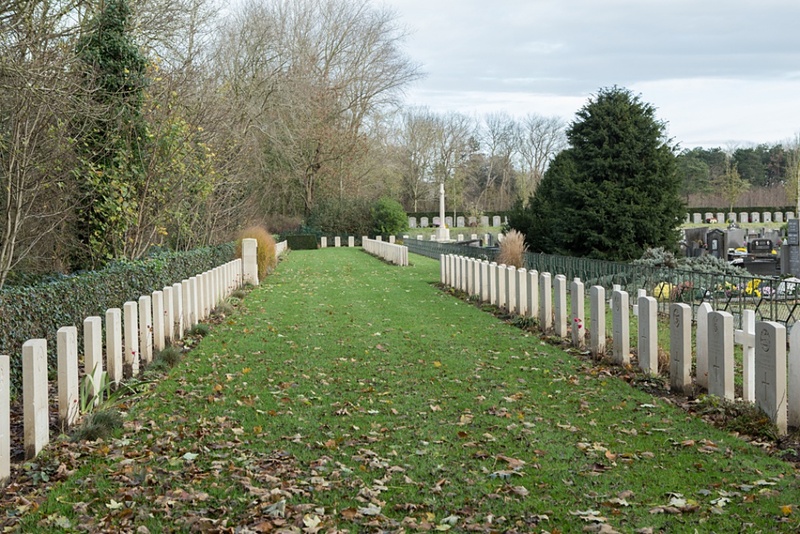 Son of James and Elizabeth Cain; husband of Ellen Cain, of 5, Summerdale Terrace, Garmoyle Rd., Liverpool. 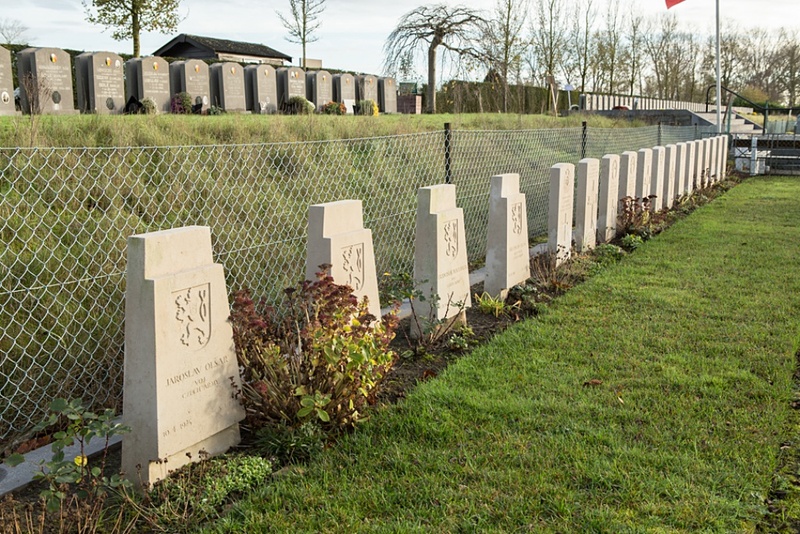 Royal Army Service Corps, 3 Div. Ammunition Coy. 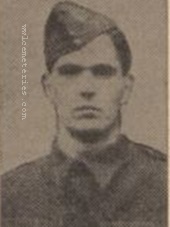 28th May 1940, aged 21. Plot 2. Row A. Grave 33. Son of Gerald S. C. and Annie Darby, of Derby. 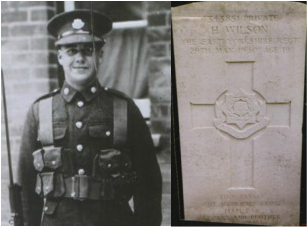 26th May 1940, aged 29. 29th May 1940, aged 19. Son of Henry and Mary Ann Wilson, of Hull. Picture courtesy of Karren Andrews.